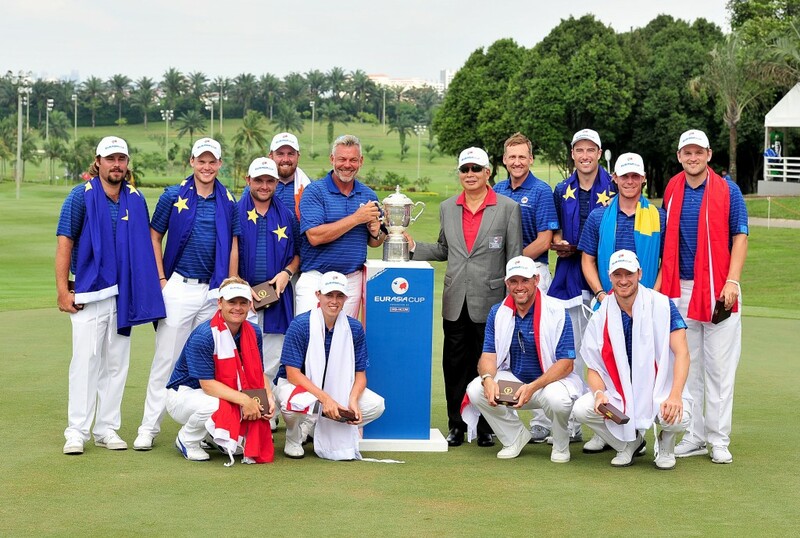 Team Europe romped to an emphatic 18½ to 5½ victory over Asia to secure their first win at the EurAsia Cup presented by DRB-HICOM on Sunday. Clarke, who will also captain Europe’s Ryder Cup team in September, was delighted with his team’s emphatic victory. They won the fourball and foursomes sessions 4 ½ to 1 ½ on both days before winning nine singles matches and halving one out of the 12 on the final day. “The team have played fantastic this week. There have been a lot of positives. I’ve learnt a few things, and hopefully I’ll do a better job come September,” said Clarke. “It’s been a fantastic week and a fantastic group of lads. We’ve had a good laugh, and I think to enjoy it, we’ve really shown Europe’s true colors and European spirit and a pretty outstanding win,” said Willett. But the experience we have gained from this, that’s what we take away from here and nothing else,” said Singh. “I didn’t play well this week and I think we try to make up in two years, we have to plan early. That’s the key thing. We’ll look forward to 2018 and I think we have more experience next time and have a good chance to try to beat the European Team,” said the Thai veteran star.